Tackle your next project with less effort thanks to the Stiletto TiBone Titanium Hammer. It weighs just 15 ounces, yet drives like a 28 oz. 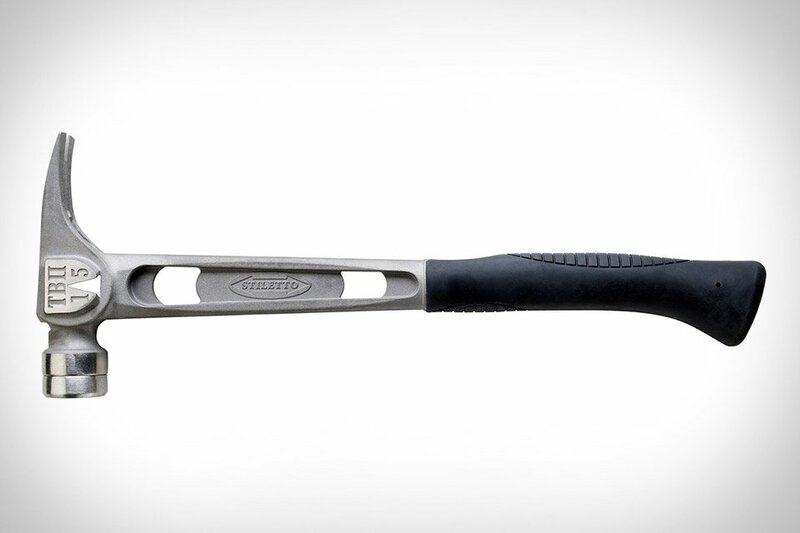 steel model thanks to a 17 1/2″ handle. There’s also a patented side-mounted nail puller that jerks out 16p nails in just a single motion, and the magnetic nail starter. Available with either a smooth or milled replaceable face, and your choose of a straight or curved handle.